A client of mine was impatient for change. She had recently become aware how she can contribute to the solution to her problems; the source of calm in the middle of disturbance. She saw the possibility and wants what she can envision right NOW! We all do until we realize impatience adds to the problem and does not serve the process. Impatience is arguing with our circumstances from a point of view of demanding something different. Righteously upset that things are taking too long! The antidote to our self-created disturbance is relaxing into the process by holding a vision of where we are going and taking those actions necessary to move us towards what we are wanting. Participating. Doing what is required. One step at a time. Imagine walking through a dark forest, eager to get to the light of the open meadow beyond. You know it is there. It is on the map. You are on the correct path. But wishing you were there, thinking about being there, feeling yourself there, demanding Scottie beam you up to there isn’t going to get you there, though they may help you do what is required, taking the next step and then the next one until you walk into the open space beyond the darkness of the trees. When I was with my client, another image came to mind. 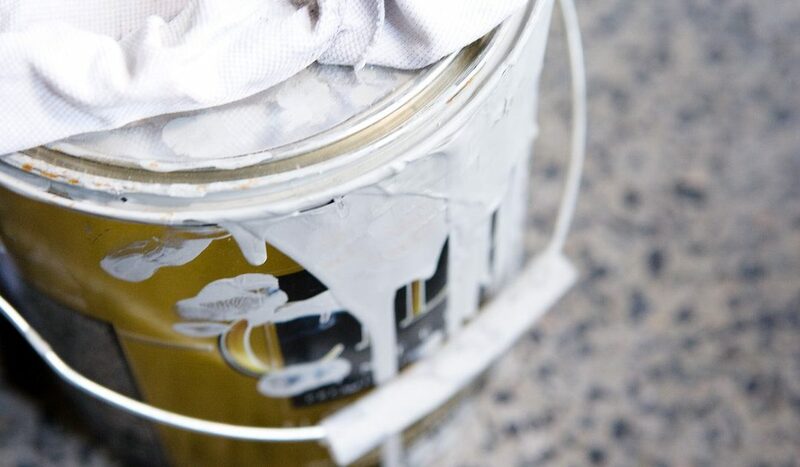 I remember recently working to get the lid off an old paint can. I inserted a screw driver in between the lid and the can and began the process of gently lifting the lid off, moving the screw driver just a bit to the right and repeating. All the way around the can until POP, the lid lifted up and my task was complete. How long did it take? As long as it took. When was it complete? When the outcome was achieved. Do we ever know how long that will take? Nope. What are our choices? To keep on keepin’ on until we are where we want to go. You are not going to want to stand in the open meadow for the rest of your life. Nor was your end goal to have an open can of paint. There is always a next and then one after that. Life is a continual unfolding of nexts. The key is participation, involvement, showing up and doing what it takes, no matter what we think or feel about it. Action turns dreams into reality.